"I thoroughly enjoyed collaborating with Insight Observatory at the Blake Planetarium in Plymouth, MA! Insight Observatory brings outer space to the classroom in a fun and meaningful way. By taking images of deep space objects with Insight Observatory’s remote telescopes, students compare objects inside our galaxy to those beyond to learn about nebulae, star cycles, galaxies, globular clusters, repeated patterns in nature and our place in space." "Working with Mr. Petrasko and Insight Observatory was such a thrilling experience for me and my students! To put the ability to photograph galaxies right in my student's hands was truly a memorable and exciting experience. My students loved learning using technology and applying it to a situation beyond the classroom." "Last year, the Insight Observatory presented me with an opportunity that my students will remember for a lifetime. 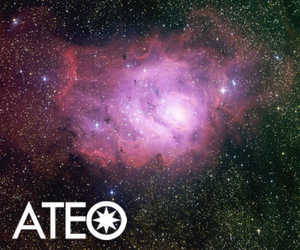 These scholars were able to remotely instruct a deep space telescope to photograph various nebulas, galaxies, and star clusters of their choosing. The results were stunning high-resolution images that the students proudly presented to their peers. Mike Petrasko, partnering with Steve Davies of the Blake Planetarium, helped to make this a defining moment in these students’ education that I believe they will reference and draw from for many years to come. I would like to thank Insight Observatory and the Blake Planetarium for helping make the school year that much better. I recommend any teacher looking for a memorable way to teach about our universe to work with Insight Observatory." "My fifth-grade class was thrilled to participate in the Insight Observatory activity. They were offered the opportunity to receive images via a remote telescope in New Mexico. They chose which deep sky objects that would be photographed, which included nebulae, galaxies, and supernova remnants. While waiting for their images, they researched their choices and were very excited when the images arrived. It was a motivating and exciting project!"